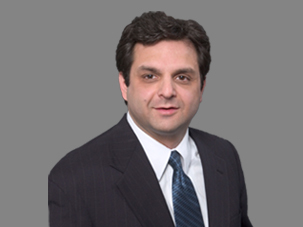 Harry G. Kapralos, Esq., is Senior Counsel in Frier Levitt’s Healthcare and Life Sciences Departments. His practice focuses on representing healthcare and life sciences industry clients in a wide range of corporate law and commercial transactions, mergers and acquisitions, private equity investments, regulatory matters including fraud and abuse compliance, HIPAA and HITECH, licensure, risk management, reimbursement, internal investigations, and other aspects of health care law. His clients include hospitals and health systems, physician practices, pharmaceutical companies, medical device companies, home health providers, health information technology companies, and other providers. Harry has successfully negotiated and completed numerous corporate and commercial business transactions for his clients, including mergers and acquisitions (exceeding $150MM), private equity and venture capital investments, joint ventures, debt financings, Limited Liability Company (LLC) operating agreements, partnership agreements, and stockholder agreements. He has also represented clients in the preparation and negotiation of many commercial transactions, including supply and distribution agreements, sales agreements, employment agreements, management agreements, personal services agreements, software licenses and development agreements, equipment leases and purchases, Non-Disclosure Agreements (NDAs) and confidentiality agreements, and settlement agreements. Harry is a member of the New Jersey Bar Association and was a member of a subcommittee that drafted the NJ Revised Uniform Limited Liability Company Act. He has also drafted amendments to the Revised Limited Liability Company Act and Uniform Partnership Act and contributed to amendments to the NJ Business Corporation Act, to comport with the revised Limited Liability Act. Prior to joining Frier Levitt, Harry was Counsel at Genova Burns, where he worked on healthcare and life sciences, corporate and business, mergers and acquisitions, non-profit, and corporate governance matters. He also previously served in-house as Senior Corporate Counsel at Curative Health Services, a national, publicly traded specialty pharmacy, infusion, and home health provider, and manager of outpatient health care facilities. Prior to his legal career, Harry worked in public accounting as a staff accountant for middle market (up to $500MM annual revenue) businesses.